Human Verification Captcha Enter the captcha code listed in the below image. PHP 5+, MySQL 5+, PHP GD Library with TTF Support 1.6+,20MB disk space. Not tested on windows servers. 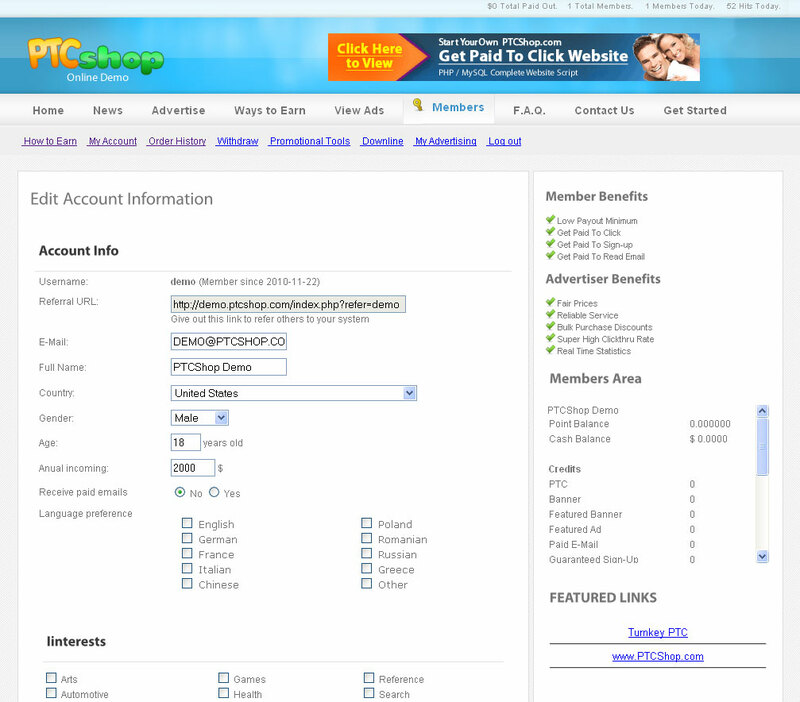 Can be run on most CPanel / PHP web hosts, either Shared, VPS or Dedicated. PHP Short Tags should be enabled. YES - I agree to the Terms and Conditions and Hosting Policies (If applicable). Get Started for as little as $47! 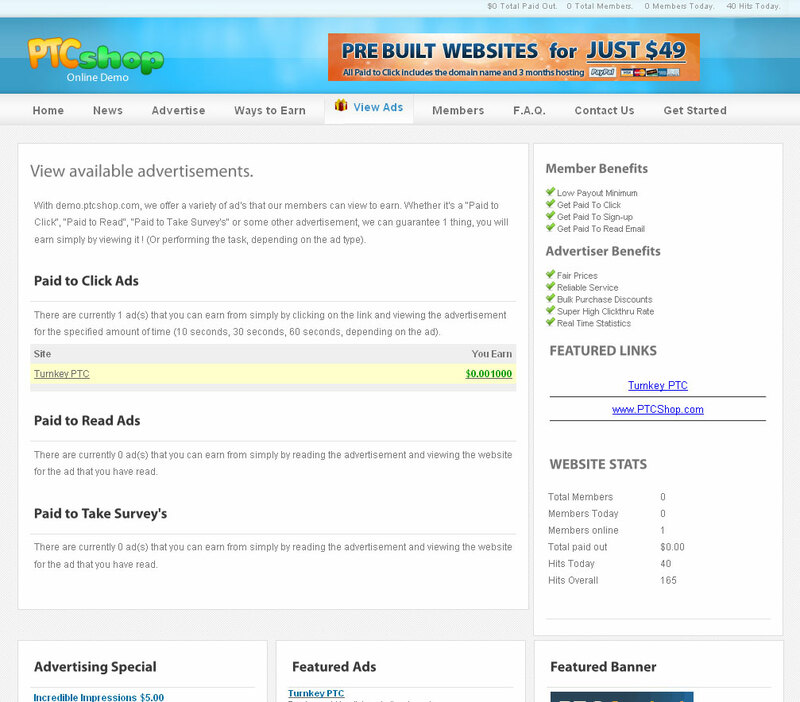 Get started with the PTCShop web script v2.0 for under $100! 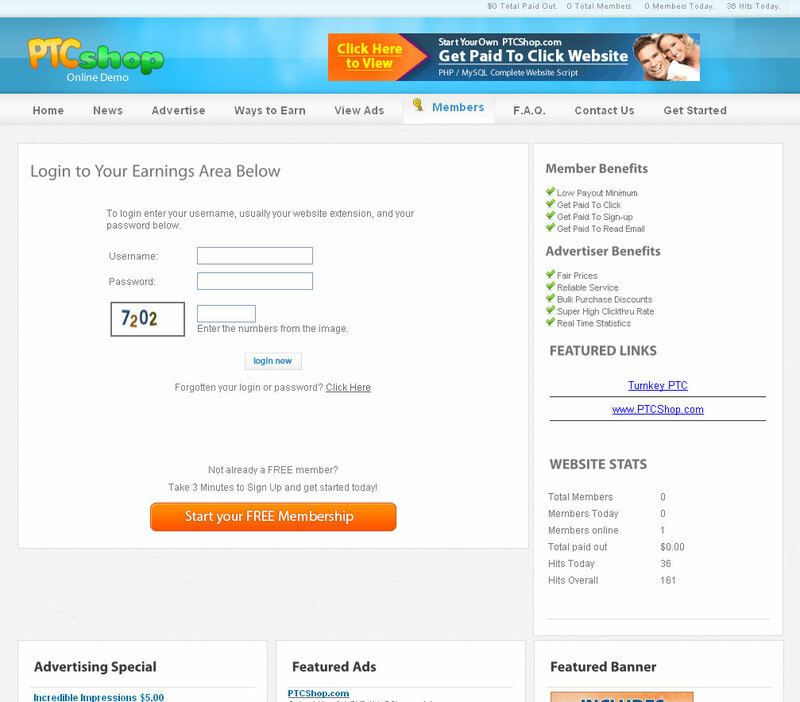 With most competitor's priced at 5x this price, we feel the PTCShop script is the most affordable solution to starting your own online business. 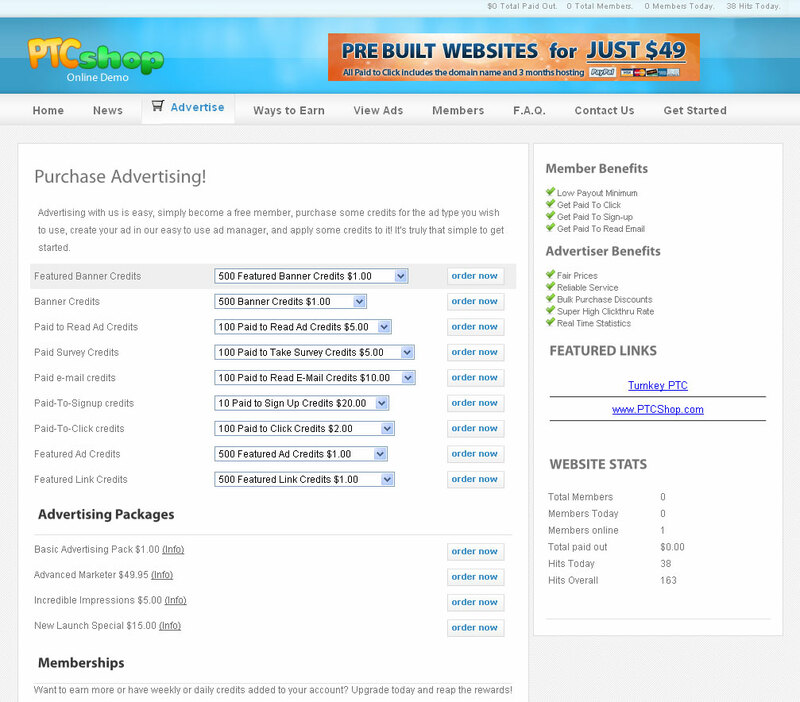 Order today and get instant access to the PTCShop web script.